Semi-dormant through the winter, "pen" Canadian lobsters are available through early spring before the legal season begins. After the summer molting, fall brings another season of prized hard shell lobsters from New England. Spiny claw-less lobsters, also called rock lobsters, are caught in warm waters around the world; the American catch mostly from Florida, Southern California and Hawaii. These tails are available frozen year round. Imported tails from South Africa and Brazil are large succulent tails of the highest quality, also available frozen year round. Messy to eat, but delicious! Clean and gut (if desired) lobsters and cut completely in half, cracking claws. In large baking pan lay lobsters and sprinkle with olive oil. Coarsely chop tomatoes and pour with juice over lobsters. Sprinkle on remaining ingredients. Bake in 350 oven for 25 – 30 minutes, turning on broiler for the last two minutes to brown top. Serve with good crusty bread for dipping. Serves 2. 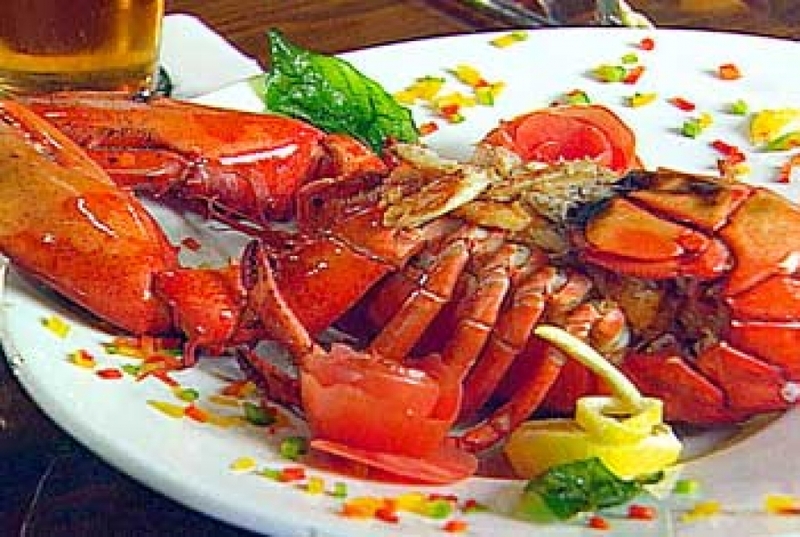 Although boiling is an easy method, steaming retains the natural juices of the lobster within the shell. In large pot place rack above 1-2 inches of water. 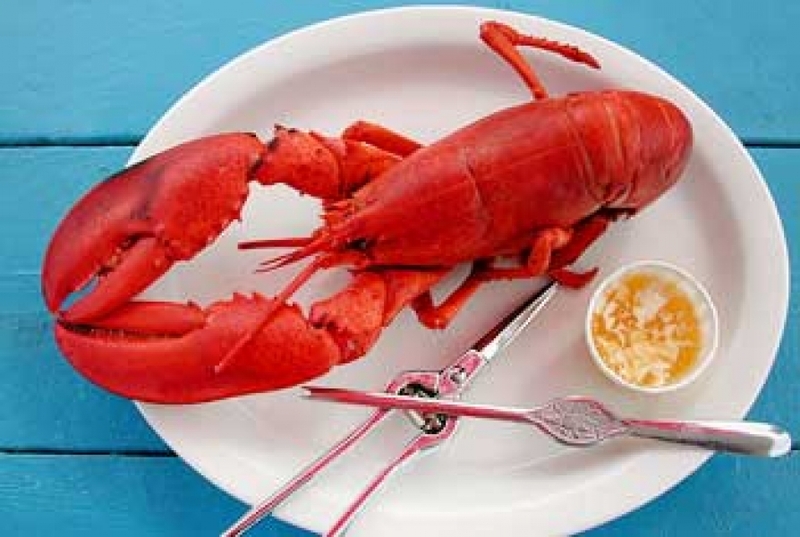 Bring water to boil, place lobsters on rack and cover, steaming for 10 minutes per pound. Serve with lemon and melted butter.Alternately, in microwave: In large zippered plastic bag, put one lobster, half a lemon and fresh seaweed if available. Microwave on full for 6 minutes for 1 pound lobster, 10 minutes for a two pound lobster.